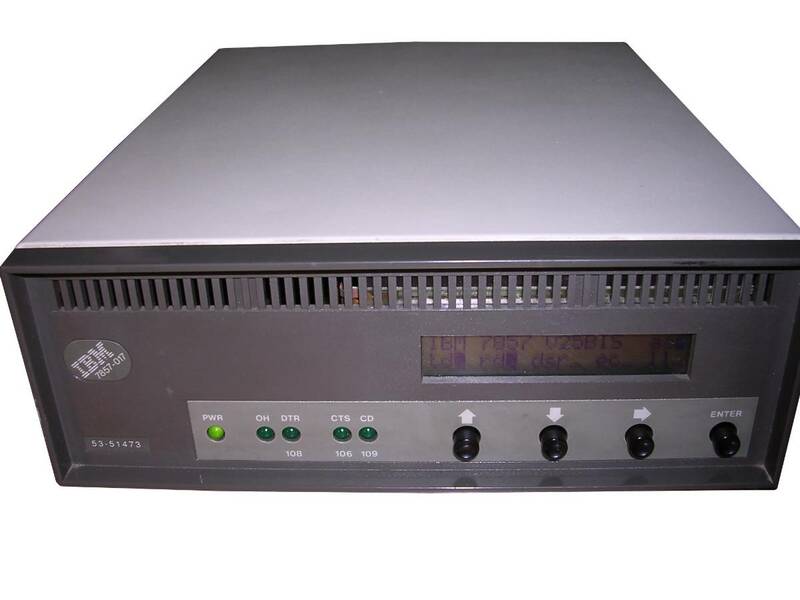 Modem is a device which modulates and demodulates signal. 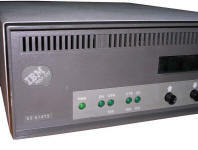 It is used to transfer data through analog lines like telephone network (most frequently) or radio carrier. Although first modems were introduced in 1960s, when throughput available by teletype started to be insufficient, the popularity of modems for PCs became in late 1980s and 1990s when modems were used as a way to Internet. 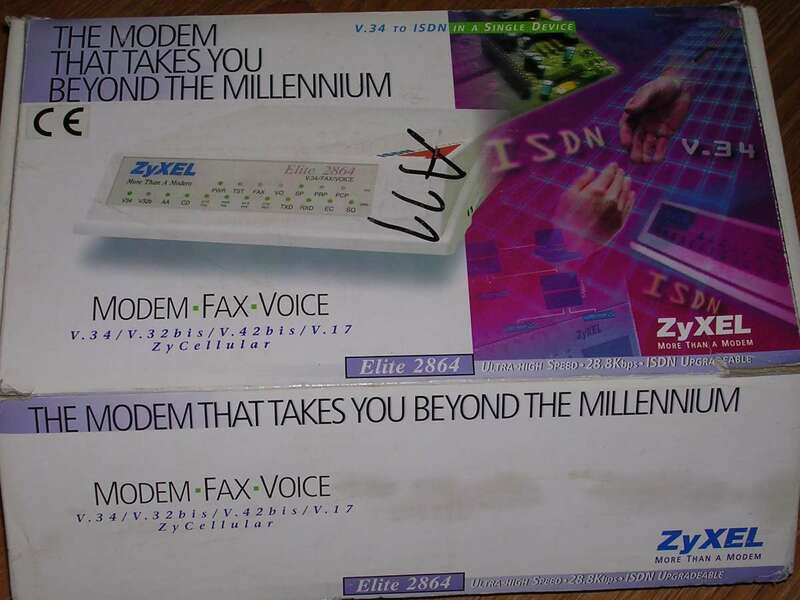 Quickly modems from acoustic coupling became separate devices put between line and phone - this required telecom certification but it finally became a fact. In these cases phone lines were just a dumb pipes to transfer the Internet - any service provided. The speed of this connection was far from modern standards - from 14.4kbit/s (ca. 2kB/s), quickly serial port's 56kBit barrier has been exceeded and some modems with special transfer methods could reach even higher speeds (sometimes even ca. 40kB/s). Technically, a modem (even internal) is seen by PC as a serial port or is connected to physical serial port, and in most cases is a totally separate "organism" with its own processor, memory and interface. PC transmits commands to modem's serial port and modem responds the same way. 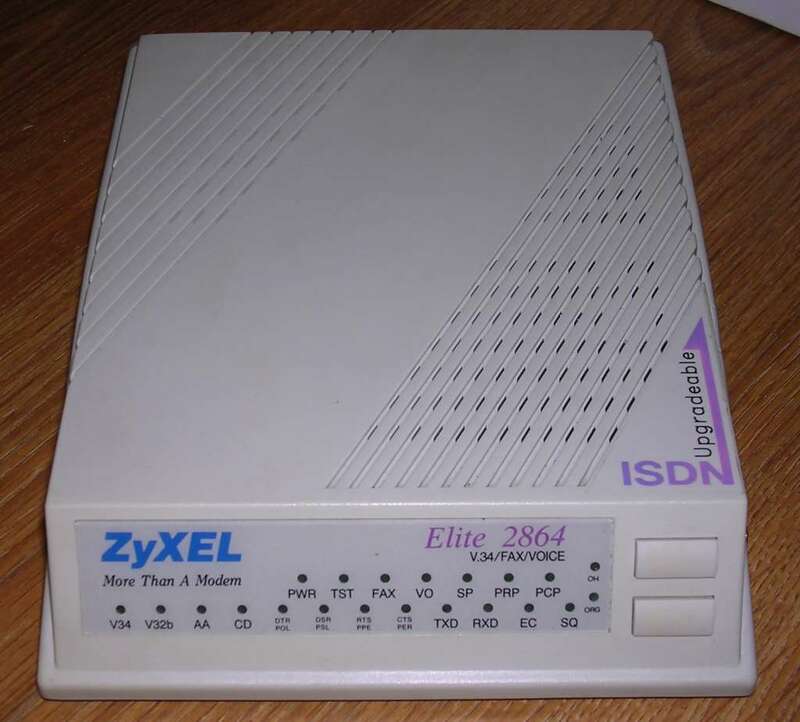 The most simple commands are standardised as AT commands usually confused with "Hayes commands", but most modems have own extensions to command sets giving them additional capabilities. 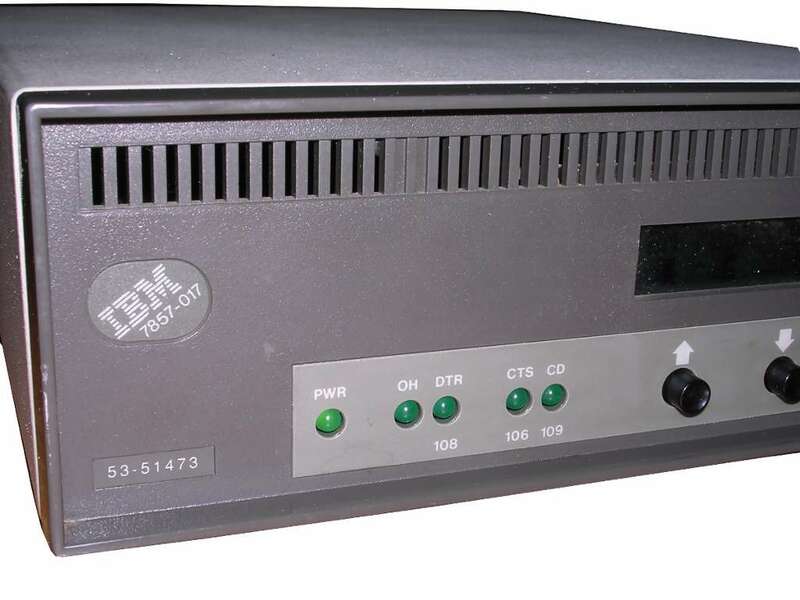 A small modem revolution came in late 1995 when the market was flooded with very cheap PC internal modems claiming to support lots of standards and speeds. 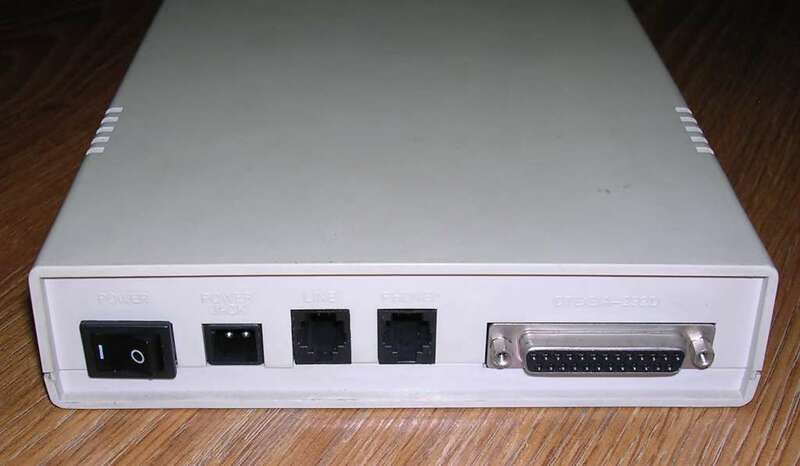 However, users found that these modems are strange - in Windows 95 they popped up like a serial port only after installing drivers (most modems could be used as "standard" modem with system drivers only), but its operation caused significant lags. 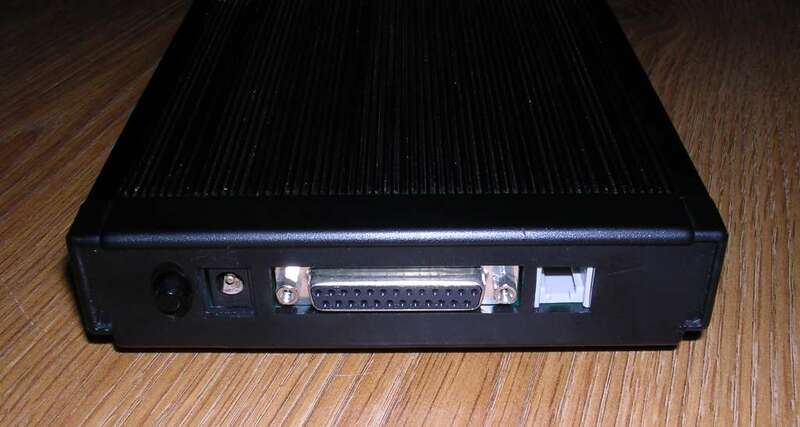 Under DOS, Unix or similar systems no serial port was visible at all. 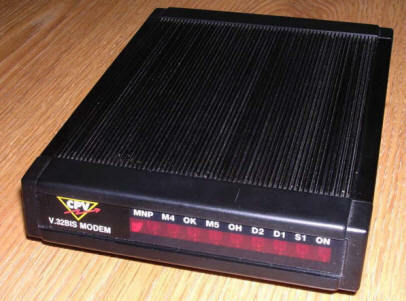 What these modems were? 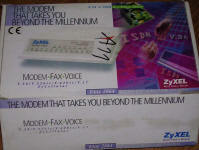 In fact, they were closer to sound cards than modems. 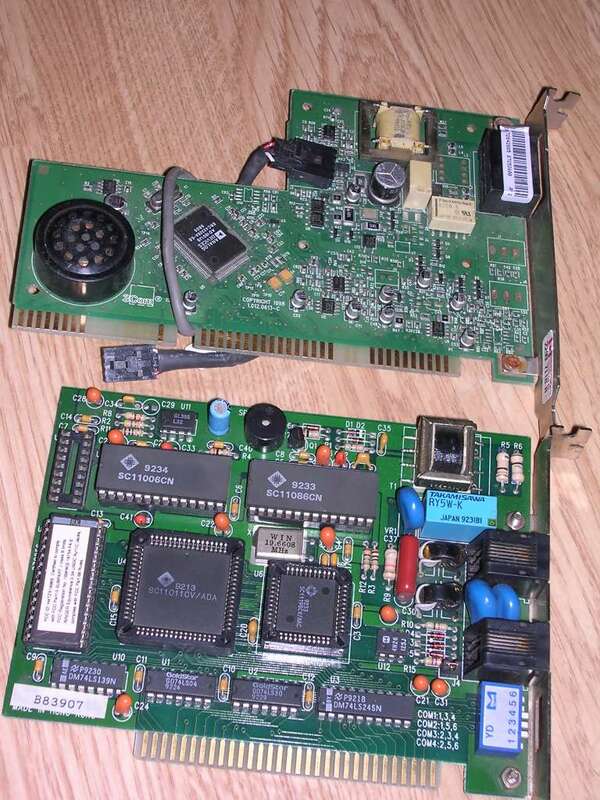 Only Analog<->digital converters with phone line coupling were present on card, all data preparation was made on computer, eating CPU cycles. 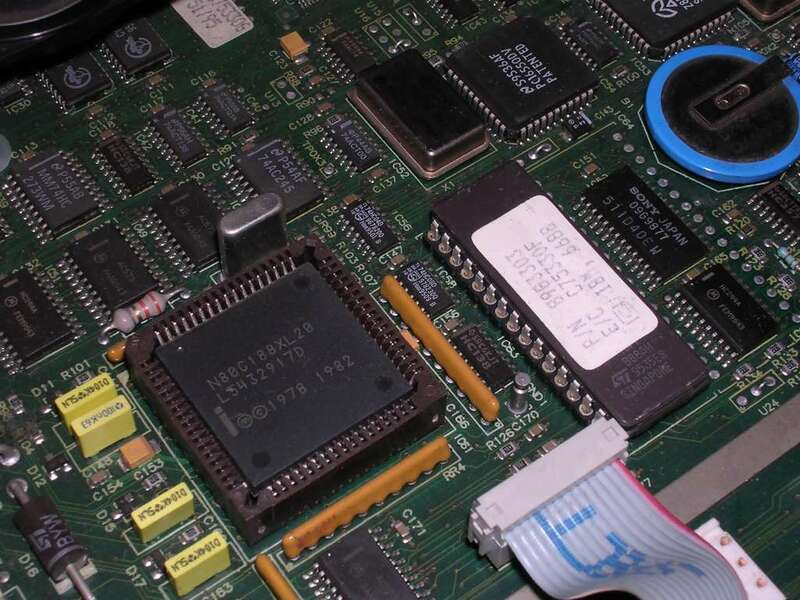 Although manufacturers claimed that it can be expanded by software, they quickly dropped support. 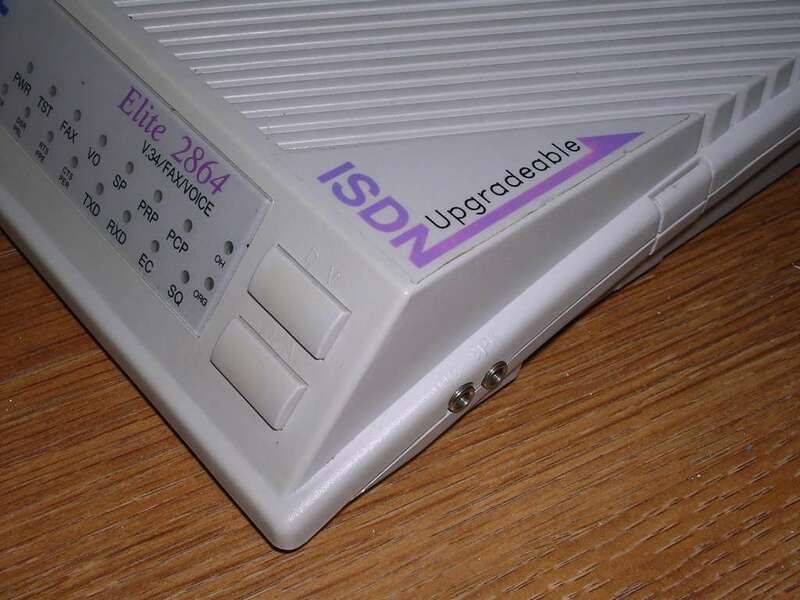 These became known as "Winmodems" and became a cheap ways to access Internet from home computers. 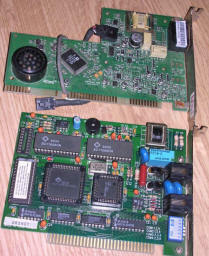 After release of Win98 the first part of driver-incompatible modems became replaced as the drivers were for Win95 only.The picture shows 2 modems: Top one is AD1801-based "Winmodem" or "Softmodem", while bottom is a typical modem appearing as serial port. The difference can be easily spotted. 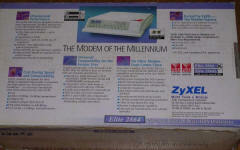 Today we still have modems, but not in the form of beeping box near PC. 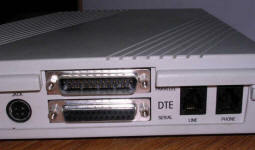 In industrial systems small modems are used to communicate between devices. 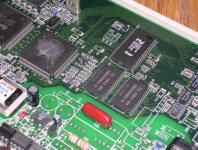 Embedded solutions usually have serial port-based GPS or GSM modules still driven by AT commands. 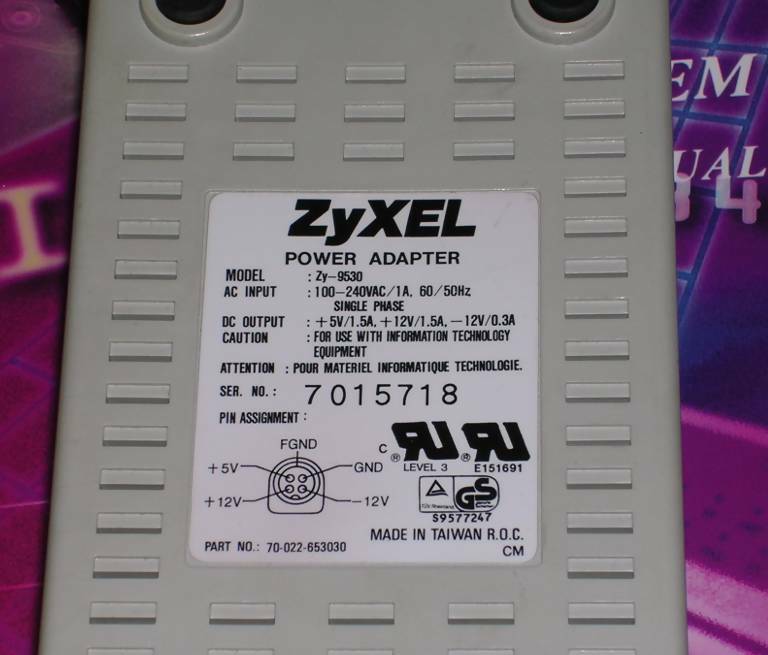 If you have an external modem without power supply you should know that many modems are powered right from AC transformer. 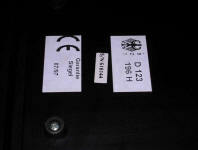 This allows them to generate needed negative voltages inside. 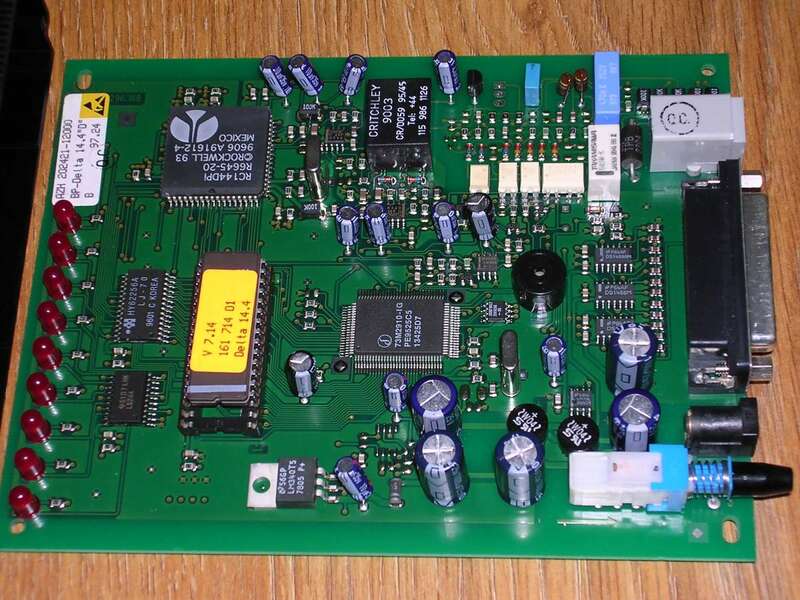 --> Tip of the moment: If you want your constantly beeping modem to shut up, give it a ATM0 command. 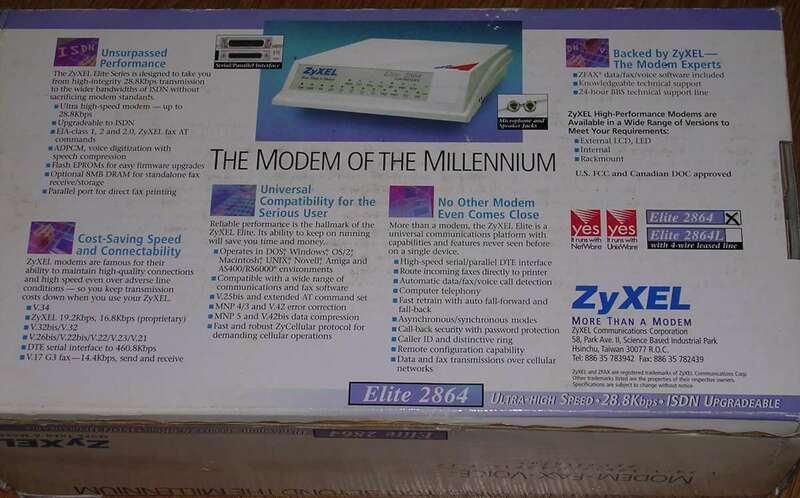 Although this modem looks old, it's from 1994. It is one of the better modems these times, working with V32.bis standard (up to 19.2kbps) and advanced configuration. 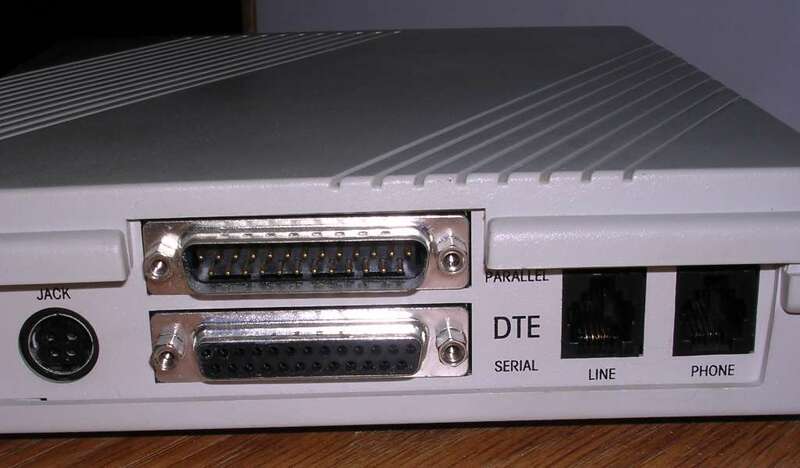 While most modems had LED indicators and configuration was made entirely from serial port, this one has a complete control panel with buttons and small LCD. 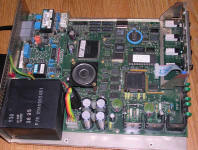 Inside it is a system based on Intel 80C188 microprocessor. 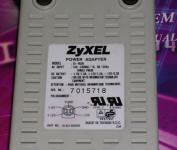 It has own power supply built-in and diagnostic tool on the rear. 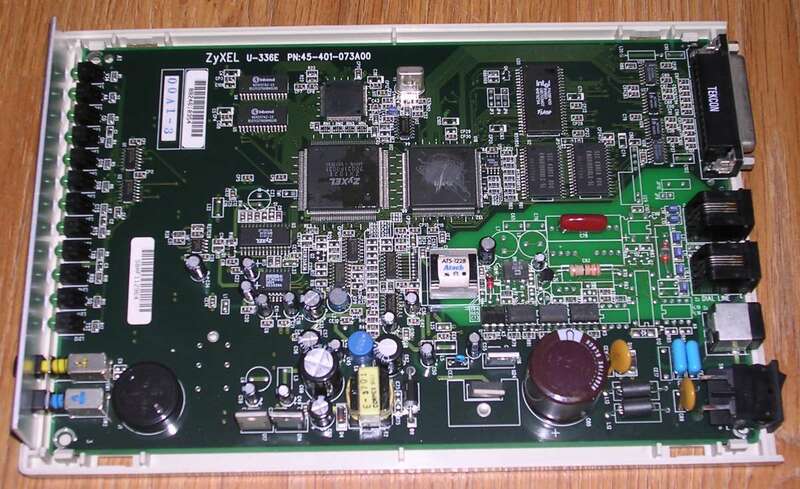 Analyzing its ROM, it can be seen that it has a sophisticated system responsible both for modem functions and for configuration using front panel, as well as for diagnostics. 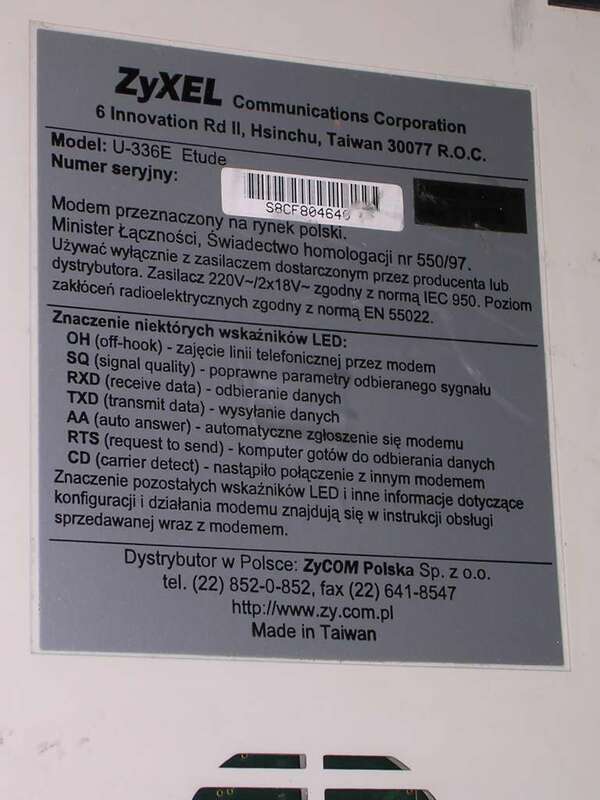 A popular modem in mid-1990s, frequently used to access networks and Internet using then-new method of connection - in Poland you could dial a number and just surf, with costs of telephone connection only. 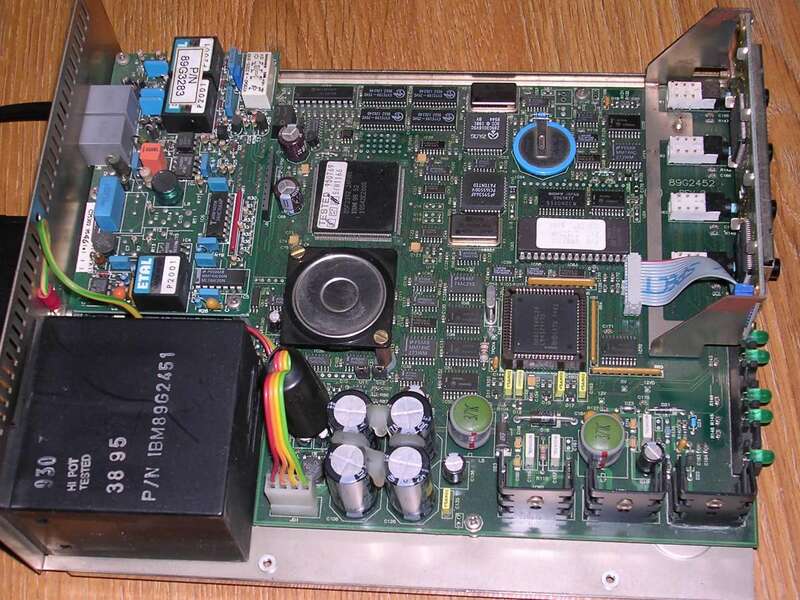 It can be expanded with additional buffer chips or ISDN connectivity module. Unusually, it has microphone and speaker jacks and can even digitize voice messages. 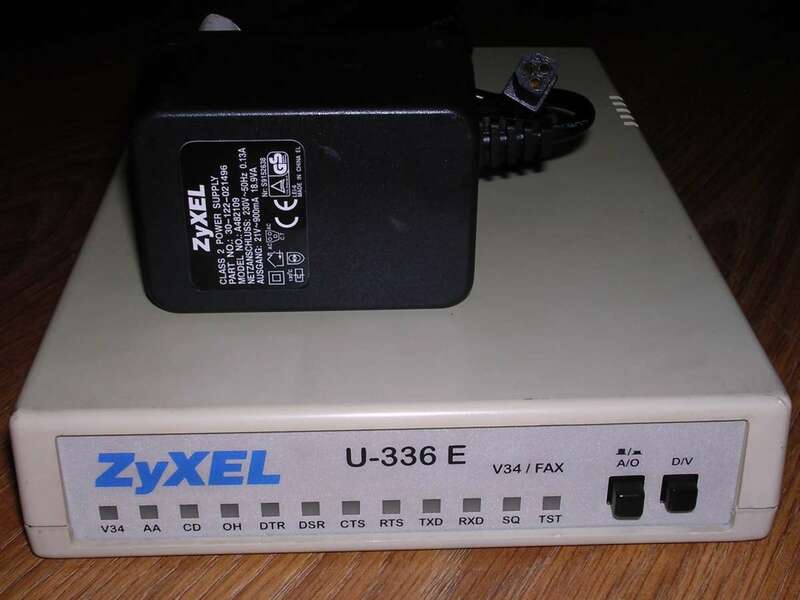 This modem has some non-typical features like a parallel port which can be used both for PC connectivity and for printer for receiving faxes. 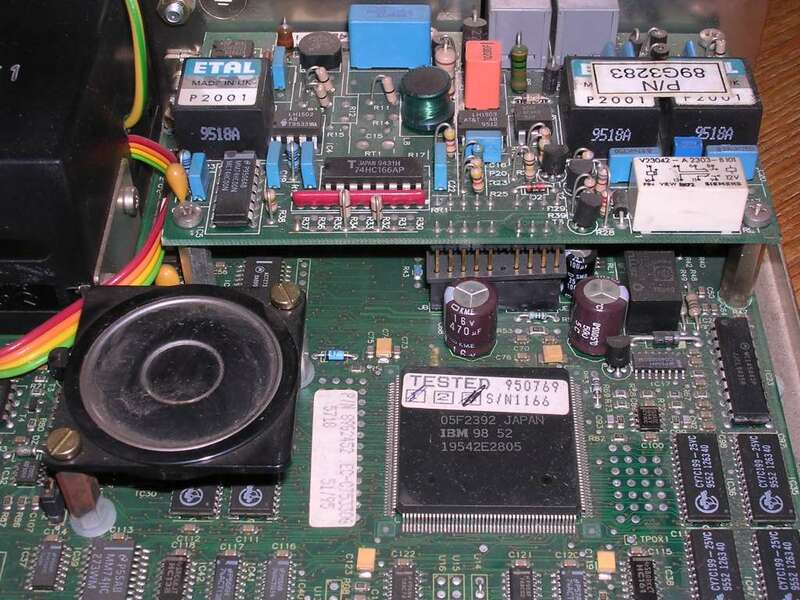 The front panel contains diagnostic LEDs and two buttons so everything is in control. 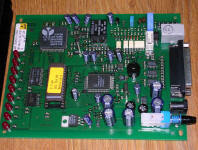 Power is +/-12V (1.5A +, 0.3A -12V)and +5V DC (1.5A). 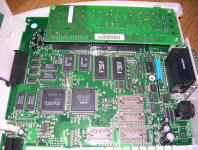 It was cheaper as most of its extended features were sold as upgrades: Want bigger memory - buy chips and put them into sockets. ISDN - there is upgrade for it. It was bought mostly keeping possible future upgrades in mind, which never happened. It is based on proprietary chips. Driver package - which came with my unit. 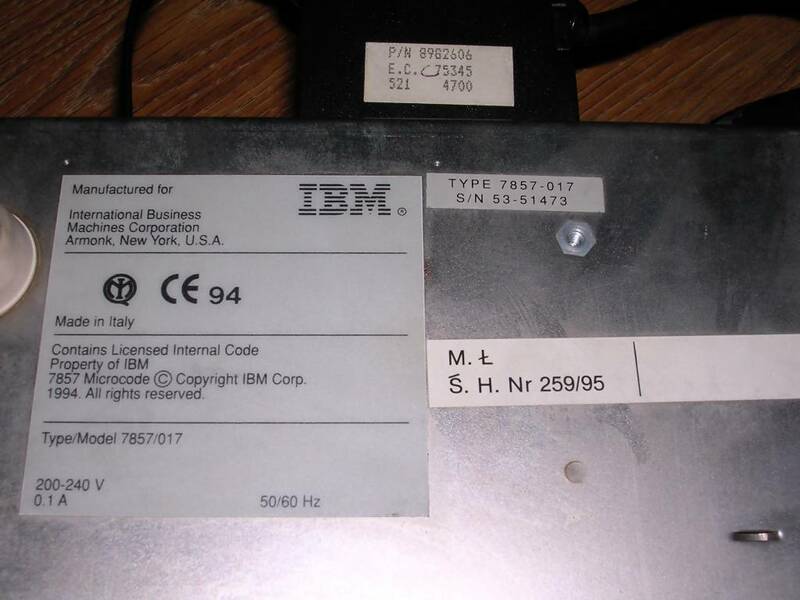 I don't have much information about this modem - it is probably German for German market. 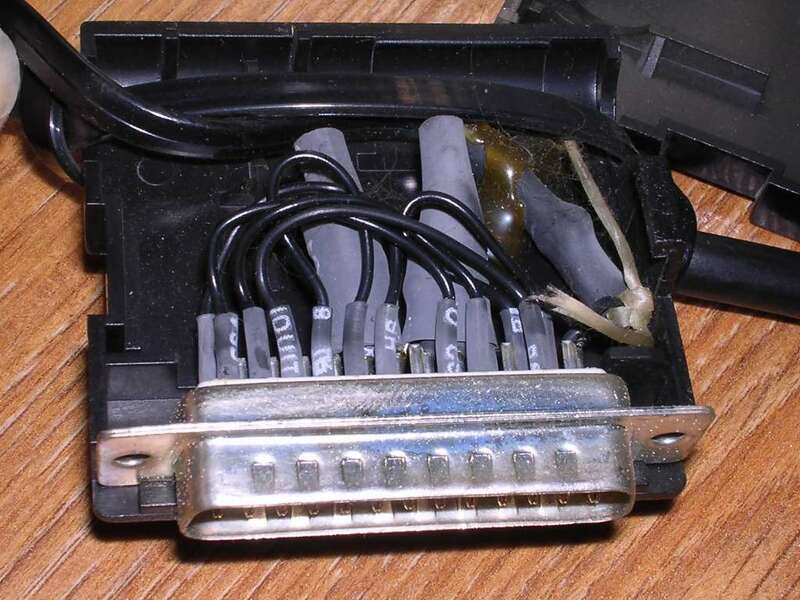 It has only a phone line connector, serial port and power supply jack (power unknown, probably AC). It is internally based on 73M2910 microcontroller with external ROM, and Rockwell RC144 modem-on-a-chip. For commands, see this link. This one is from late 1990s - contrary to earlier model, this one has a typical, non-fancy casing and higher capabilities in terms of speed. 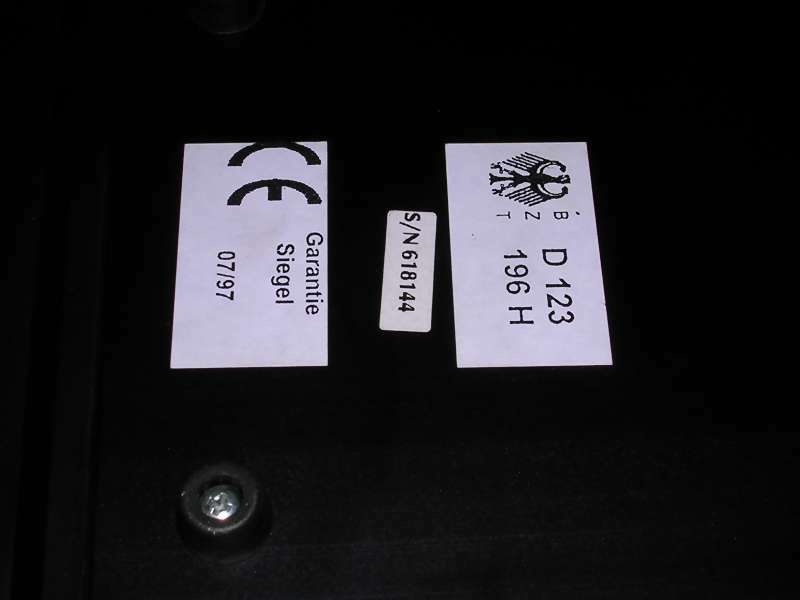 Features related to external fax printing and speaker/microphone are absent. 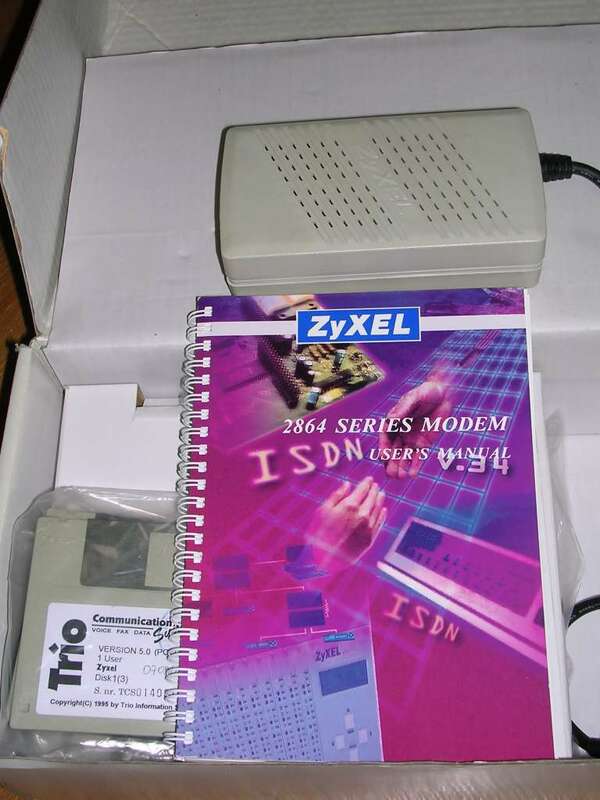 It was frequently bought for phone Internet access as these times 56kbps was the fastest possible way through a phone line. 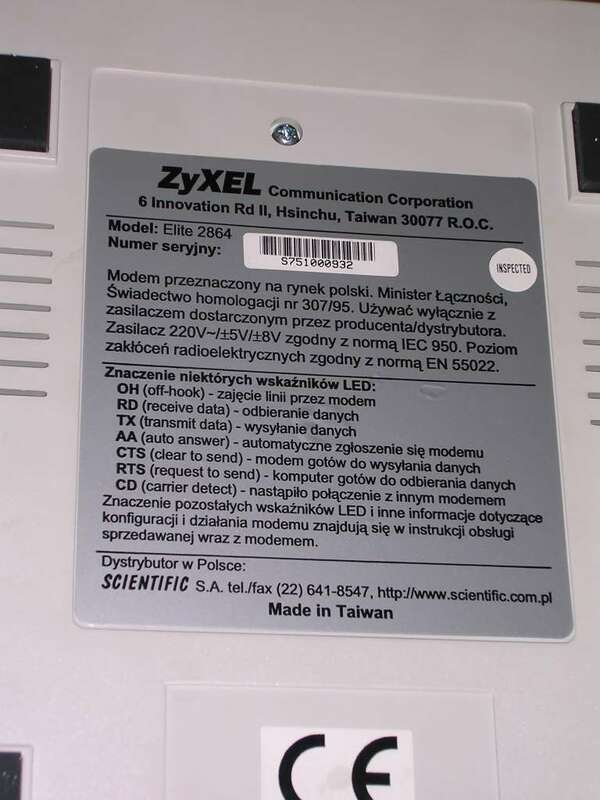 As most ZyXel modems, it is based on proprietary chips. 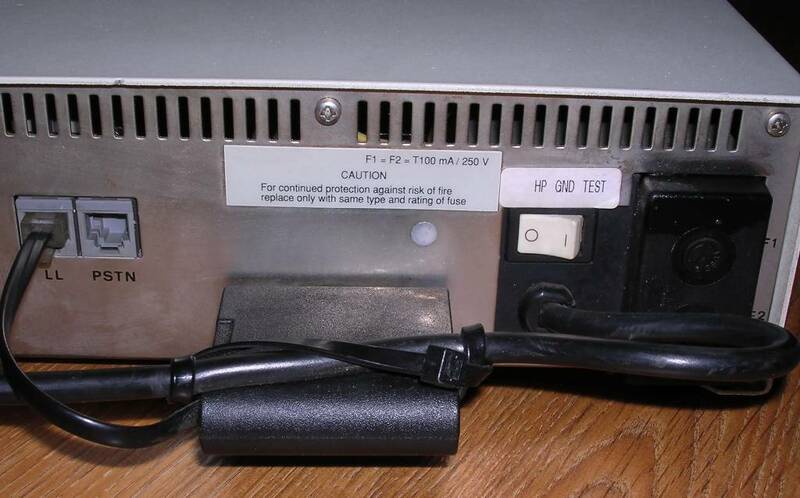 Power supply is 21V AC, 900mA, AC goes to two pins in horizontal line.